This macro becomes useful when you have multiple ScorBox sessions running and would like to switch between them with ease. You can certainly activate the various open sessions simply by clicking on the relevant Windows, as you would with any other Windows application. However, ScorBox windows by themselves give you no hint as to the project that you are working on within them. 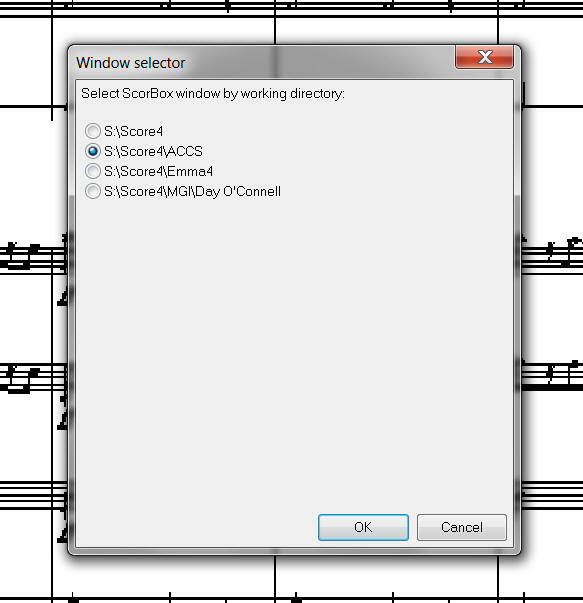 Score of course will display the currently active file name as part of its display, but the directory information is not readily viewable, and the ScorBox window does not reveal it in its title bar. This will make it easy for you to know immediately which ScorBox session you need to switch to. The path information in the Window selector is created and updated dynamically, so no matter how you navigated to the directory in which you are working, the correct path information should be displayed in the Window selector. If you have not yet constructed your own “Master menu,” access the “Model menu” that is included in the “Required macros” download file and edit it to suit your needs. The support file “LastWindowSelected.txt” needs to be present in the ScorBox support directory (“LastWindowSelected.txt” is referenced both by this macro and by the Launch Score module in active directory (internal) macro). 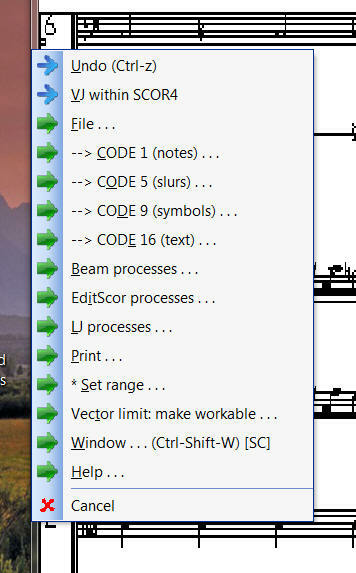 You need not do anything with it; Macro Express modifies the contents of the file internally for its own use.